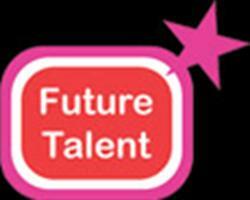 This week’s (8th June) Stade Saturday is courtesy of Future Talent, a Hastings based organisation run by young people for young people and offers a fantastic line up of home grown stars of tomorrow. Including a knockout performance at last summer’s Day @ the Park, eat @ favourites The Broadcasters are notching up a number of appearances and are not to be missed on Saturday, along with the talents of Adeola Osho, Kane Tracey, Poppy Prescott, Hebe Gilham and Sam Carey. A musical pick and mix and a treat for all this week, so come on down and support our local talent. Starts 7.30pm, Stade Open Space, admission free. Eat @ the Stade will be open for drinks, refreshments and meals.